U.S. health regulators are now investigating a possible link between Onglyza and heart failure, after a clinical trial indicated that the drug was associated with a 27% increased risk of hospitalization for this dangerous condition. You may be eligible to file an Onglyza lawsuit if you or a loved one were hospitalized with a diagnosis of heart failure while using this Type 2 diabetes medication. To learn how our Firm might be able to help you obtain compensation for your Onglyza-related injuries and complications, please call (888) 994-5118. Onglyza (saxagliptin) was brought to market by AstraZeneca in 2009. It is approved to lower blood sugar levels in patients with Type 2 diabetes. Onglyza belongs to a class of Type 2 diabetes medications called DPP-4 inhibitors, and works by increasing the amount of insulin produced by the pancreas after meals. Saxagliptin is also an active ingredient in Kombiglyze XR, another Type 2 diabetes medication marketed by AstraZeneca. Approved in 2010, Kombiglyze XR combines saxagliptin with metformin. April 2015: A panel of FDA advisors overwhelmingly recommended that information regarding a potential risk of heart failure be added to the labels of Onglyza and Kombiglyze XR. Fourteen of 15 members of the FDA’s Endocrinologic and Metabolic Drugs Advisory Committee voted to recommend the label revisions, while one panel member voted to withdrawal the drug from the market entirely. February 2014: The U.S. Food & Drug Administration (FDA) announced that it is reviewing Onglyza, after a study published in The New England Journal of Medicine linked saxagliptin to a 27% increased risk of hospitalization for heart failure. The study, known as the SAVOR-TIMI 53, involved 16,492 diabetics randomly assigned to either saxagliptin or a placebo. All of the subjects included in the study were tracked for a median of 2.1 years. During that time, 3.5% of the saxagliptin patients were hospitalized for heart failure, versus 2.8% of placebo patients. 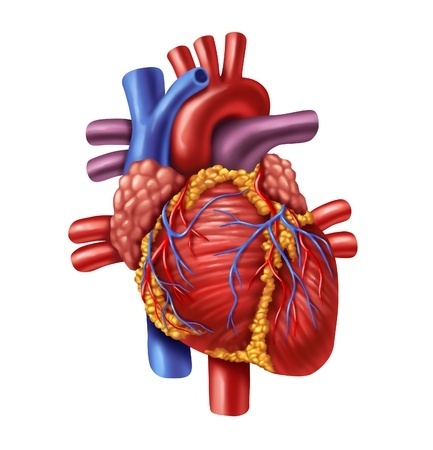 As heart failure worsens, the heart muscles will thicken, and the organ will be forced to pump faster. Ultimately, the heart will grow weaker. As the heart’s pumping becomes weaker, fluid may build up in the lungs, liver, gastrointestinal tract, and the arms and legs. This is called congestive heart failure. While there is no cure for heart failure, there are many effective treatments that can alleviate symptoms and prolong life. Were You Hospitalized with Heart Failure While Taking Onglyza? Contact an Attorney Today. The nationwide law firm of Bernstein Liebhard LLP is now offering free, no-obligation legal reviews to individuals who were hospitalized with heart failure diagnosis while using Onglyza. To learn more, please contact our office by calling (888) 994-5118.